ConsumerLab.com performed tests to confirm purity and potency for 10 GNC fish oil products in 2012. All 10 products passed without exception. ConsumerLab.com is a leading provider of independent test results and information to help consumers and healthcare professionals identify the best quality health and nutrition products. GNC announced its fish oil products are purified and manufactured for freshness and found to be free of detectable level of mercury, cadmium, lead and PCBs. 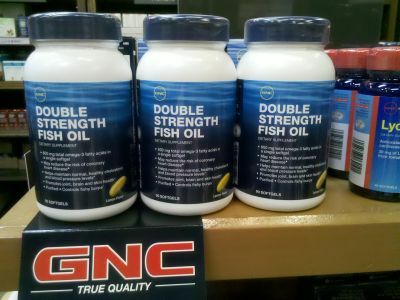 GNC emphasized it uses only the best quality ingredients derived from wild, deep ocean fish.